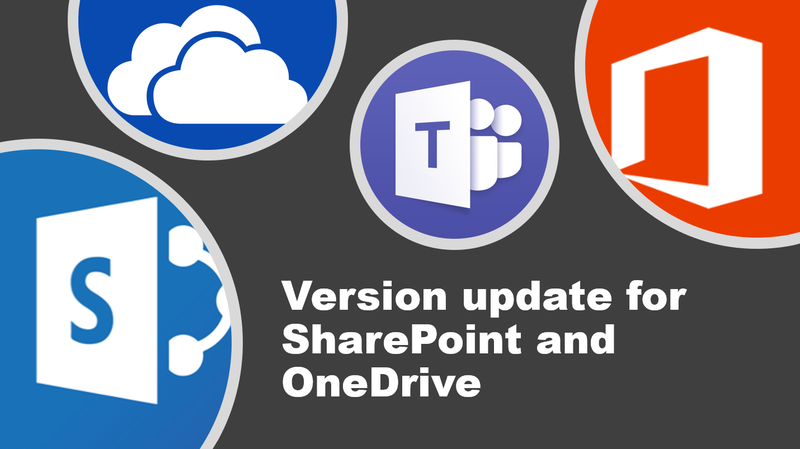 #Microsoft365 #Office365 #SharePoint #OneDrive Beginning of May it was announced that there will be a change to the versioning settings for SharePoint and OneDrive. This affects all Document Libraries in SharePoint Team Sites as well as OneDrive. 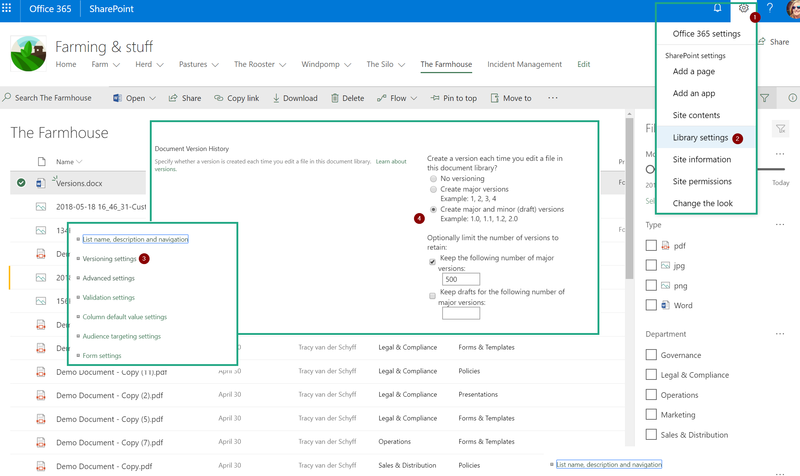 Keep in mind that your documents in Microsoft Teams also sit in SharePoint Team Site Libraries, so will also be affected. 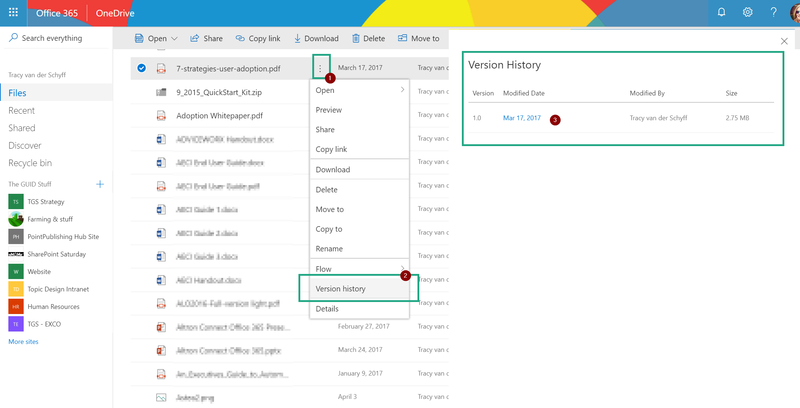 Versions in SharePoint is an excellent way to ‘track’ changes that were made to documents, as well as have the ability to restore previous versions (when you’ve messed up your document – or someone else has). SharePoint and OneDrive keeps electronic versions in the ‘background’, so not actual separate document copies. You can access, and view these at any time. It’s a great way to view previous published policies for example.